The Mpumalanga Education Department has set aside R930 million for the construction of new schools in the province. Buhle primary school in Tekatakho village in Kabokweni near White River is one of the schools, which the department has completed. Learners in the area were forced to travel for over ten kilometres to attend school. The new school has a computer lab and a library. 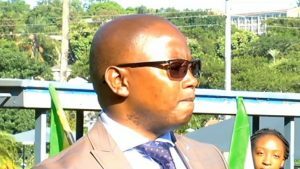 Handing over the new school, Education MEC Sibusiso Malaza says the school will play an important role in the development of the community and the province. “We have built a school Buhle Primary School which is the state of the art school, it meets all the requirements in terms of norms and standards. The money that has been set aside it’s an on-going project where we identified a need for a school, we go and intervene in that area, “says Malaza. The post Mpumalanga to build new schools appeared first on SABC News – Breaking news, special reports, world, business, sport coverage of all South African current events. Africa's news leader..